I celebrated my birthday last Tuesday with a lot less fuss that I normally do. Birthdays just aren't as exciting as you get older and I'm not really a fan of big nights out anymore. I followed Hollie's lead and baked my own cake this year (a bit less visually appealing than Hollie's though) so I got exactly what I wanted. I like simple cakes but I'm not a fan of shop bought ones so I made a basic sponge with a cream cheese frosting and a colourful surprise inside. I was very lucky this year when it comes to gifts and I got a beautiful rose bush from Martyn's sister and Martyn bought me a bike so we can go for rides together and improve our fitness. I've been going to yoga and the gym and I'm hoping a bit of cycling will compliment that. I had to work on my birthday this year so I tried to do it in style and treated myself to the Boden Nancy dress that I've wanted for ages and paired it with my favourite Mel Heart shoes which I've ordered in the navy blue too. Is having the same pair of shoes in four colours excessive? I got to see the premiere of the new Doctor Who episode, the first one to feature Peter Capaldi on Thursday at the premiere in St David's Hall. There was a red carpet and a Q&A with the cast after. It was the effect way to spend a morning for a Whovian like myself. I'm not going to share any spoilers but I did shed a tear at one point and Capaldi was brilliant. Make sure you watch it on the 23rd! My birthday week was rounded off with a big shindig at my friend Oonagh's parents house in Monmouth. 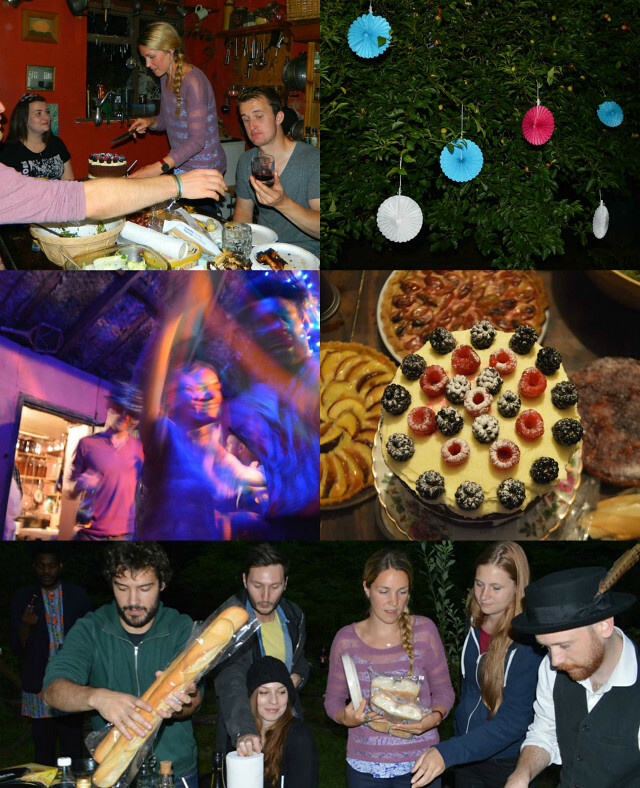 There was a BBQ, home brew, dancing and plenty of cake baked by Oonagh. Oonagh has been away in the Arctic doing a research expedition and I haven't seen her for a long time so it was nice to hang out with her and have lots of my favourite people all in one place. I hope that you've been having a lovely time too, what have you been up to? Please leave some links so I can have a good snoop at your days out. 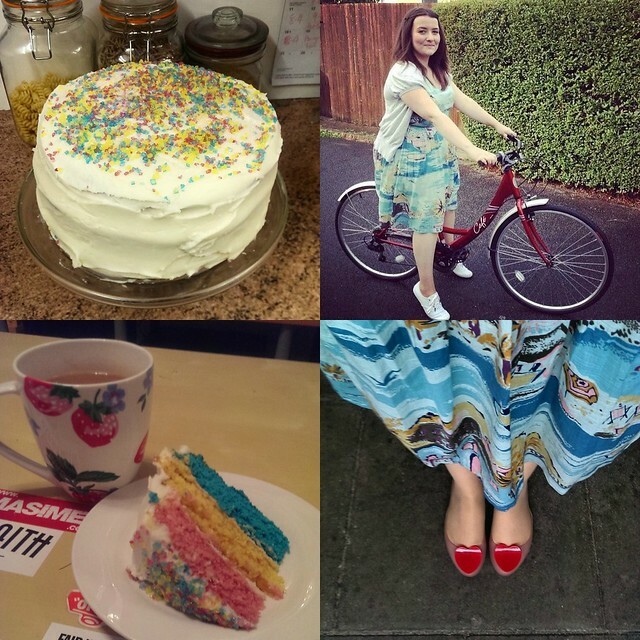 Looks like a rather fab few days and I'm glad you had a lovely birthday = you look great in that bike / Nancy picture and I love the fact you have the same shoes in lots of colours - nothing wrong with that! You can never have too many Mel shoes Gem! So glad you had a lovely birthday. Happy Birthday for last week! Your cake looks beautiful and I love the dress! Happy belated birthday, sounds like you had a lovely time! You were a lucky girl indeed! Martyn nailed it with that cute bike, and I adore that dress on you! OH MY GOD. You got to see the premiere?! 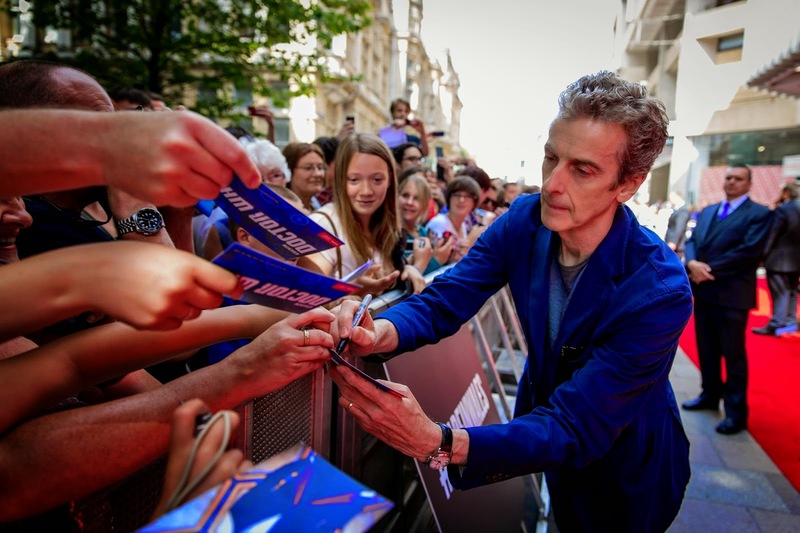 You got to see Peter Capaldi?! So jealous right now. I have a not so secret weird crush on him. It's strange but I don't care hehehe. happy belated birthday! that cake looks ace. excited for dr who! Happy belated birthday! The cake looks amazing! I'm seriously thinking about getting a bike too so would love to know how you get on!